It's never easy collect your thoughts and talk about a trip like the one we just had the opportunity to experience. It is not easy simply because there is so much to say that we risk confusing and mixing thoughts and memories, days and visits. In situations like this, I think the only thing to do is truly speak from the heart, without trying to forcefully describe something. We have the viewpoint of a pilgrim, tourist, visitor and journalist in the past ten days that we spent in the Holy Land. Before leaving for the Holy Land, I knew it was going to be an unforgettable experience. 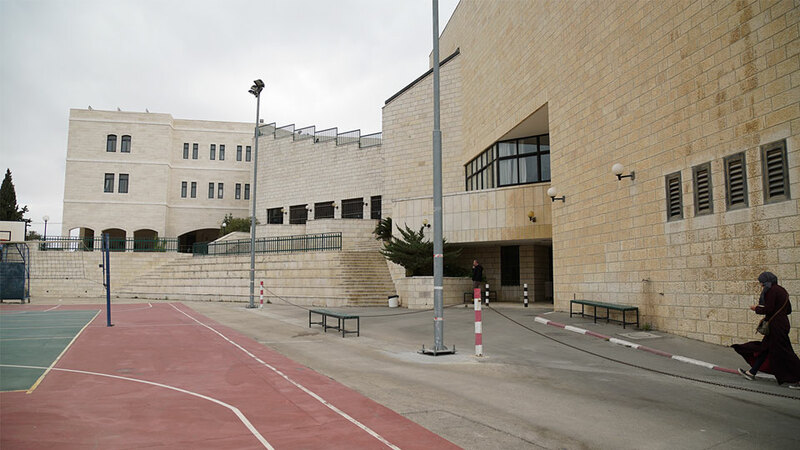 I have already expressed my first perception of the Holy Land - it felt like home. The colours, the weather, the blue sky, a sense of deep spirituality and with so many people who spoke my language, a number of details that made me feel like I was in my country, a strange feeling, unexpected, but beautiful. 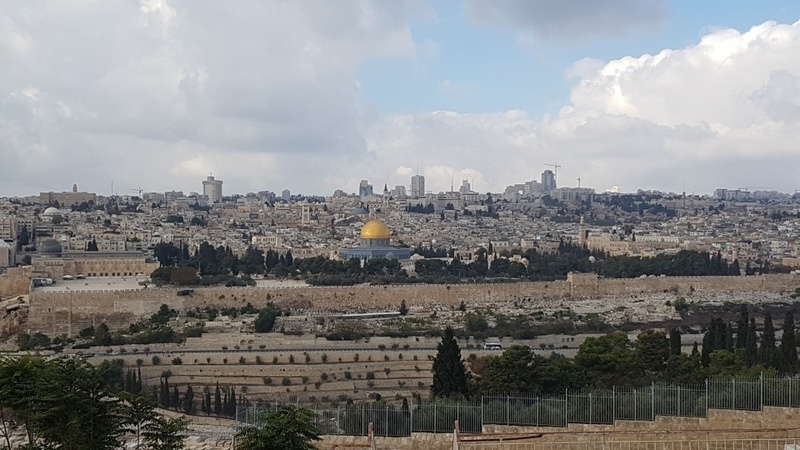 Many people in the past had told me about how good the Holy Land was, both those we had been there on a pilgrimage, as well as those who had been there for other reasons. Today, I can only agree with all these positive opinions, because I'm happy with what I have experienced and I would be the first to suggest a great experience. We filmed a lot, we walked for miles, through the length and breadth of Israel, Palestine and Jordan and on, to try to do everything possible and I think we achieved our objective. It was interesting to mingle with people of different ages and from different cities, with unknown people but at the same time linked by an unshakable faith. It was nice to be there, to be present in certain places that I had so often heard of and that finally materialized in front of me, in front of my eyes. 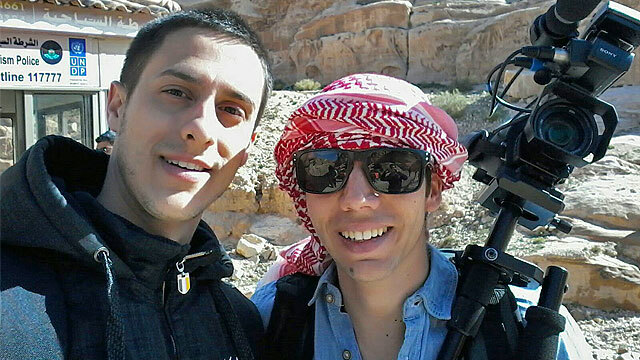 Matteo and cameraman Lou-Kevin at Petra. Many people have asked me to make a parallel between the Holy Land and Rome. 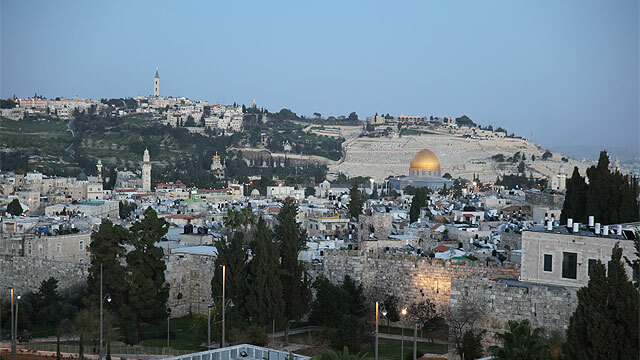 Undoubtedly, there is a thread that connects these places, but Bethlehem, Nazareth and Jerusalem are the places where it all began. 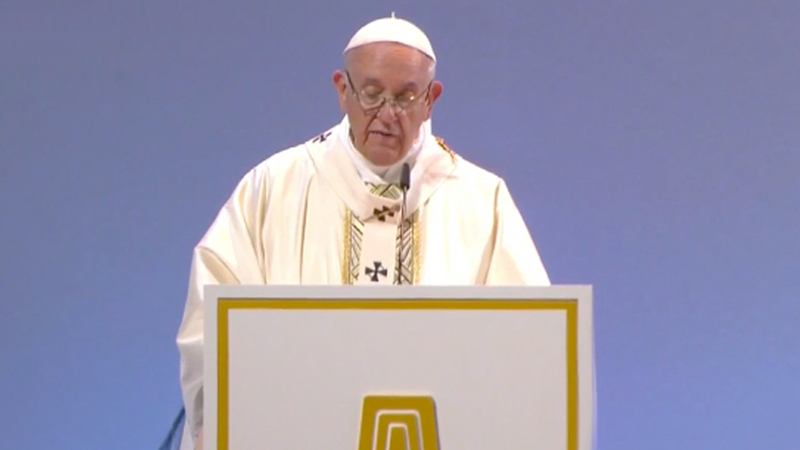 Rome is, instead, the place where the faith developed, the city where, for centuries, Catholicism has called home. 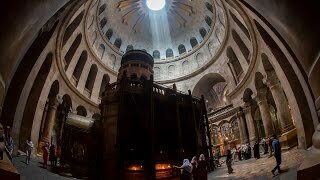 Rome is topical, the Holy Land is history, the origin of everything, a concept that became clear to me at the Basilica in Nazareth, in my opinion ,one of the most beautiful places we saw. There I met and interviewed Father Sinisa, a Franciscan, Croatian from Zagreb, who stressed in his interview to me as that the site was something special. Without that fact, without the announcement of the Archangel Gabriel to Mary, there would be nothing. Everything that comes after began there. True, very true. Symbolically, I think it's the place we should keep in mind in a special way. Our last day was in Petra, Jordan, about 250 km south of the capital Amman. In 2007, Petra was declared one of the so-called seven wonders of the modern world, an amazing place twinned with Matera, a combination that has totally amazed me knowing the city of Basilicata. Petra remains my favourite place as a tourist, because if I remove the symbolic value of the visit to churches, these ones remain - the construction, the buildings. Petra, however, is something unique, a rare landscape and therefore not easy to describe. Horses, rocks, and sand fascinated us, and in my personal ranking, this puts the city alongside Jerusalem as one of those places that everyone deserves to be see at least once in life. It is a holy site for three religions. That says it all and leaves no room for further explanation. The "Eternal City", a definition that I reminds me of another home. Everything was wonderful and I do not think it's a coincidence.